Finally all agendas of batik for 2012 done! Thanks God for that! It’s a challenge but all exciting at the same time. 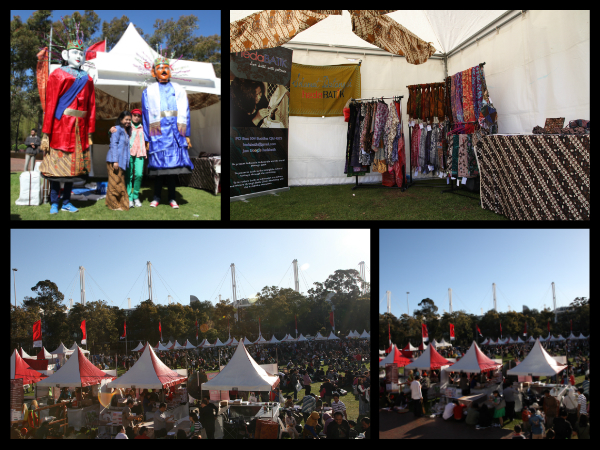 Started from 18 August on Saturday at King George Square Brisbane, then Saturday 8 September at Tumbalong Park, Darling Harbour Sydney, then Sunday 16 September at Power House Brisbane, then Sunday 23 September at Kings Beach Caloundra!! Plus, not to mention for Saturday 28 April at Gold Coast too! I got more than I asked! I’ve been learnt so many things along the track how to keep increase better and better clinic, demo and workshop. 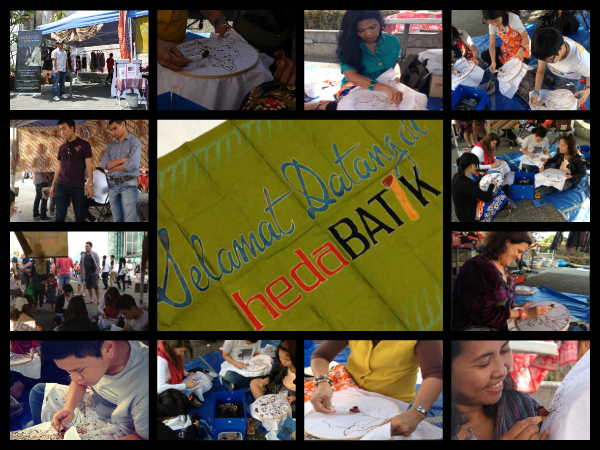 Knowing so many wonderful people who generously support hedaBATIK, again I’d like to say many thanks for that! I wouldn’t be able to do without your supports!! 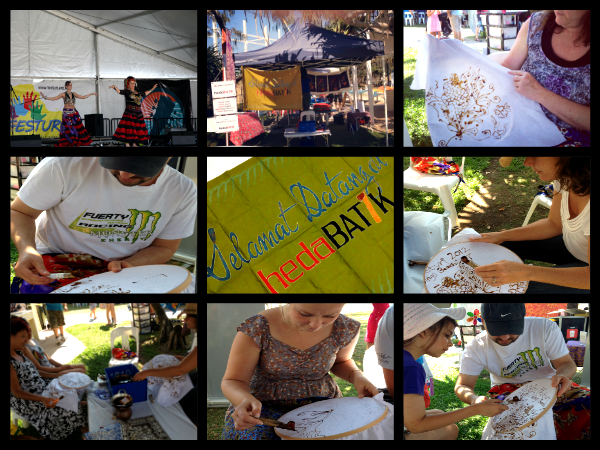 Here are some photos from the action of hedaBATIK on Saturday 18 August 2012 at King George Square Brisbane, a day before I flew overseas for family business and pleasure. 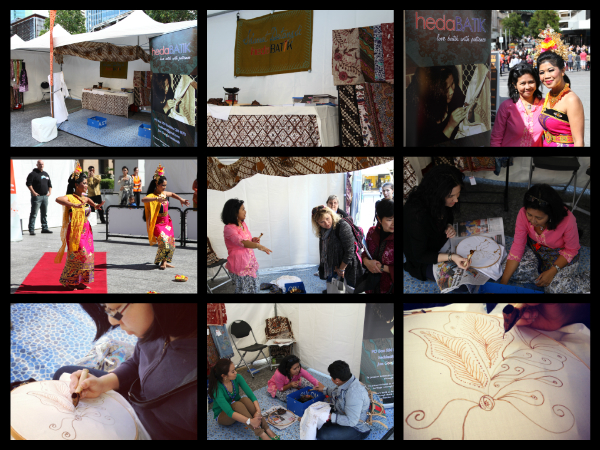 Here are some photos from the action of hedaBATIK on Saturday 8 September 2012 at Tumbanlong Park, Darling Harbour, Sydney, a day after arrive from overseas! 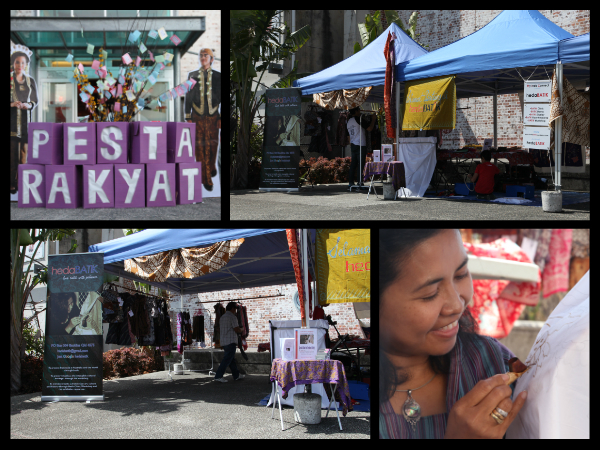 Here are some photos from the action of hedaBATIK on Sunday 16 September at Power House Brisbane and the rest. 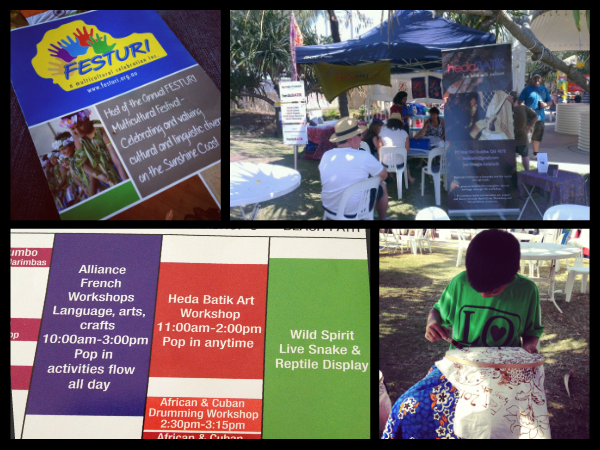 Here are some photos from the action on Sunday 23 September at Kings Beach Caloundra to support Festuri 2012. 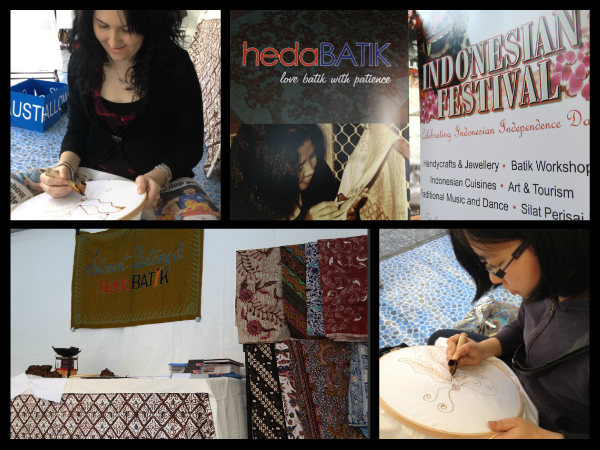 Another offers come to fulfill batik invitation is on again! Hopefully I can manage and have a great time again for doing something good. 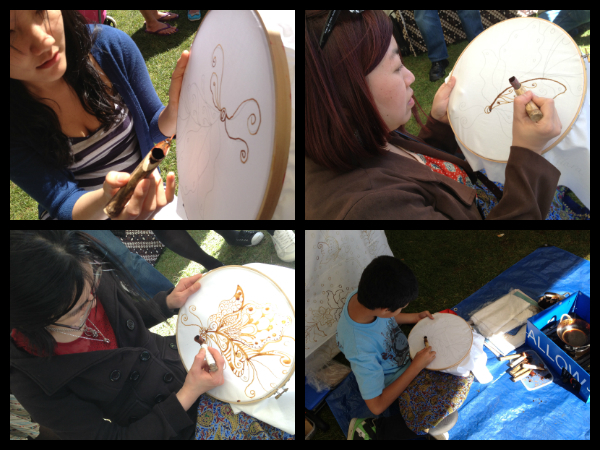 More opportunities I have to show the beauty of batik, more chance for people to know about it.